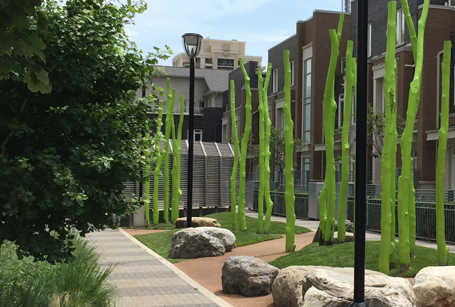 High Park Condominium | Commercial Landscaping Design | Toronto, Ontario | LandArtDesign - Landscape Architects Inc. 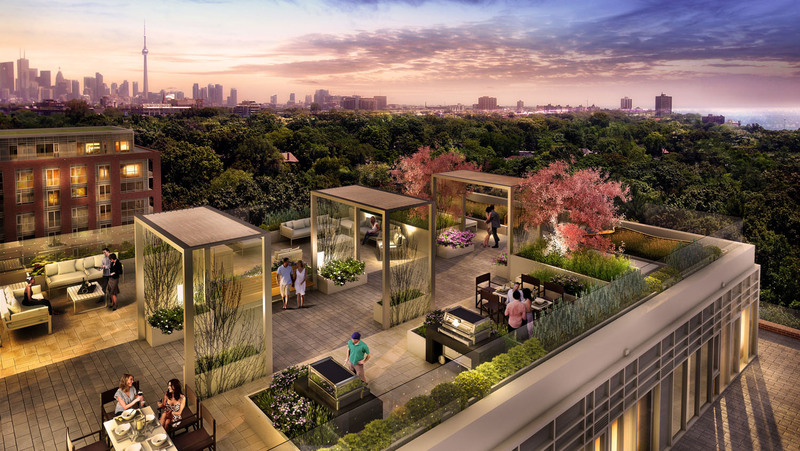 This landscape design aims to carry the DNA of High Park, one of the city’s largest parks, into the site’s open spaces. 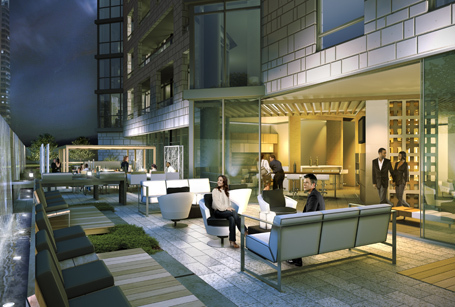 A central courtyard flanked by the building on three sides offers expansive views of the park to the residents. Grade related retail offers opportunities for outdoor cafes and services to create an engaging pedestrian experience along Bloor Street West. 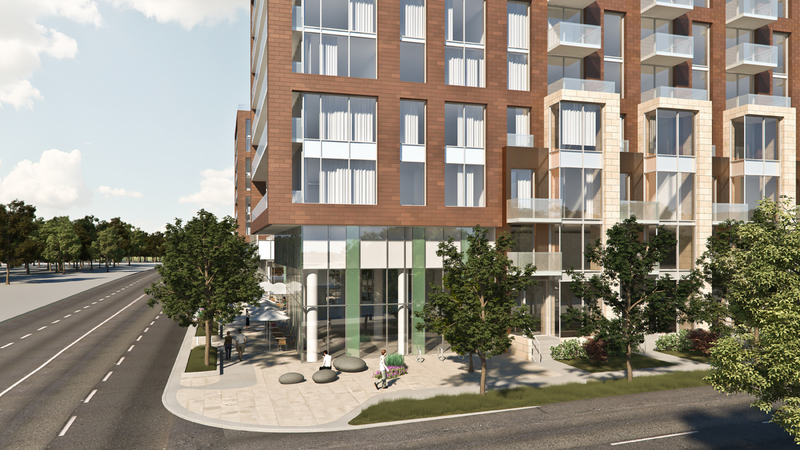 The surrounding tree lined streets offer easy access to transit, unique shops, restaurants and all the benefits of Bloor West Village. 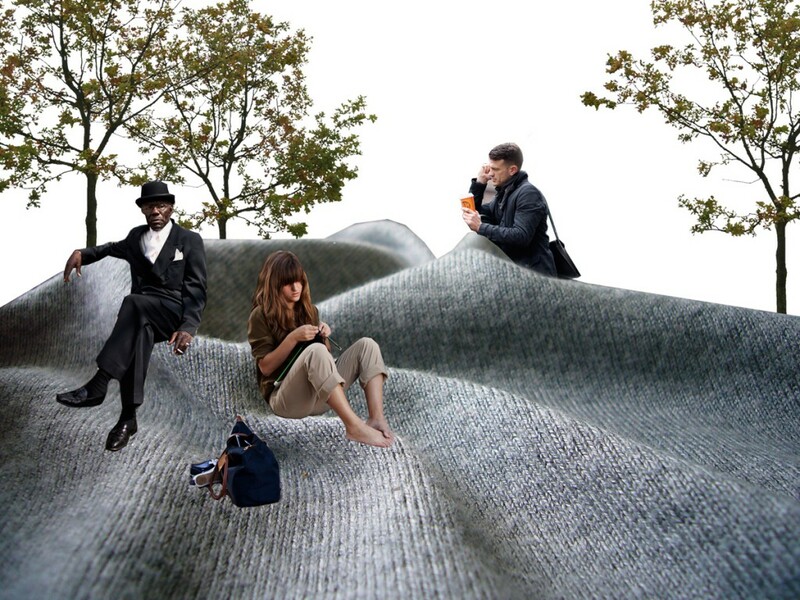 Oversized architectural stones act as sculptural seating and climbing elements. Native plants have been incorporated into the design to extend the feeling of High Park across Bloor Street West into all corners of the site, in bioswales, planters, and amenity spaces. 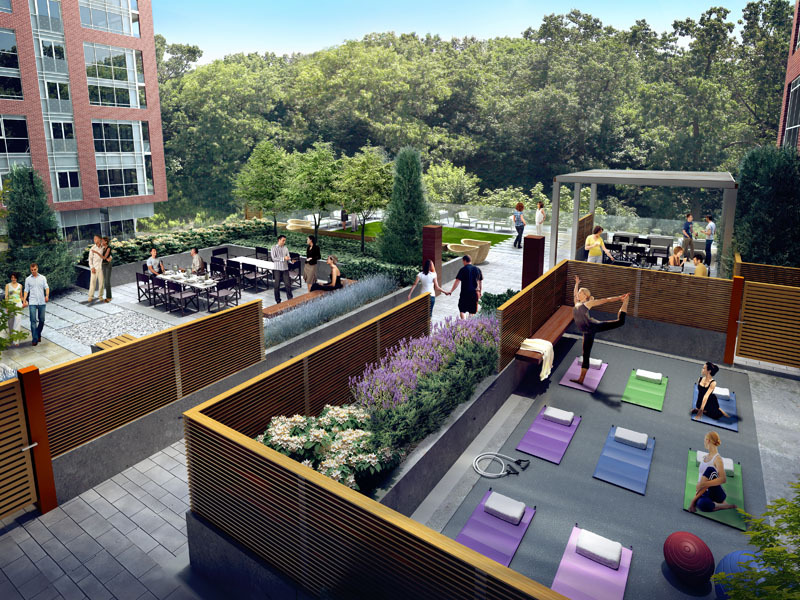 The 3rd floor terrace is full of amenity spaces oriented to today’s busy lifestyle, incorporating exercise and lounge spaces and tying closely with the interior programming. 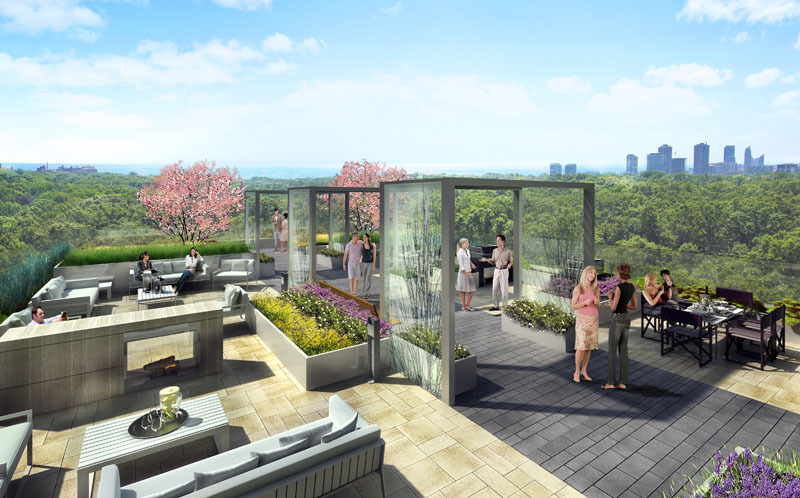 The 10th Floor terrace has expansive views of High Park and downtown Toronto, which form an unparalleled backdrop for a series of entertaining and party spaces. 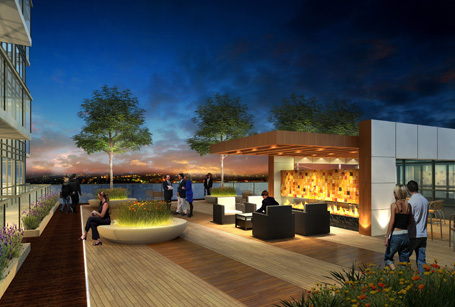 The courtyard presents a canvas for artful displays of natural elements. 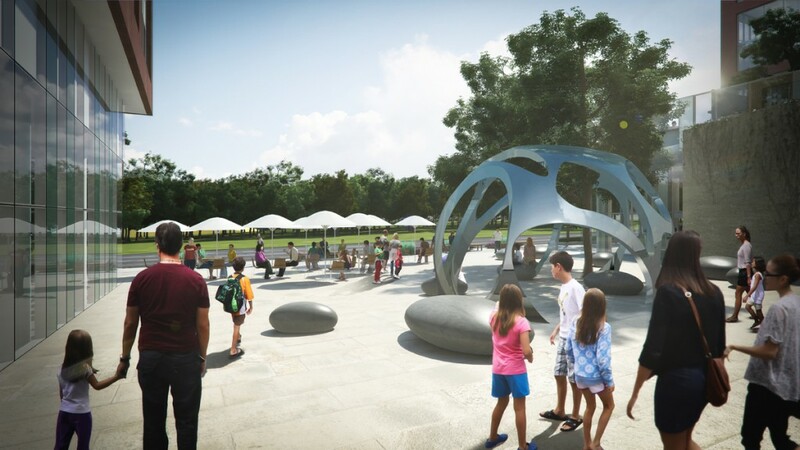 Several pieces are being considered for their presentation against the green backdrop of the park or glass facades. 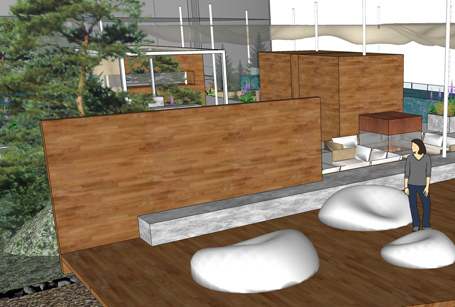 Another idea for the central courtyard offers ‘fabric’ folds for socialization and lingering in numerous nooks. Playful use of paving materials transforms a traditional sidewalk into art while inviting the public into its corner courts. Land Art Design Landscape Architects Inc.